Don Quixote T-Shirts are available now! Get yours while they last! The on-line store closes on April 8th. 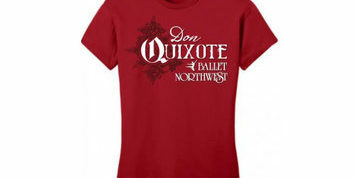 Orders will distributed by Ballet Northwest Members on the week of April 22nd. Don’t miss the Olympia Dance Festival!